IN what could be a major breakthrough in the history of science and technology in the country, a Zimbabwean man has manufactured an electric car, the Minister of Higher and Tertiary Education, Science and Technology Development, Oppah Muchinguri, said yesterday. Muchinguri said the electric car would be launched in Harare next week. Addressing a Zanu-PF star rally at Mbizo 4 Shopping Centre in Kwekwe yesterday, Muchinguri said Zimbabwe's future was bright and the country's resources should be guarded jealously. She said the electric car, which doesn't use diesel or petrol, had been developed by a Zimbabwean. Muchinguri said it was therefore vital that NewZim Steel opens soon so that all the materials for the bulk production of the electric car are readily available. "Next week we're launching the first Zimbabwean car ever. It will be an electric car. This one doesn't use diesel or petrol. So we want NewZim Steel to be revived soon so that we're able to make our own vehicles," she said. Muchinguri, who is Zanu-PF secretary for Transport and Social Welfare, said she expected motor vehicle prices to plummet once the country starts bulk production of the electric vehicles. She said the over $600 million that is going to Japan as people import second hand vehicles would then be used to develop the country. "Motor vehicles will be very cheap. 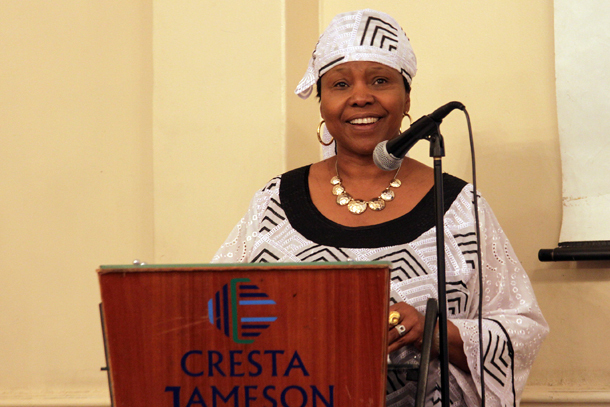 So it's very vital that NewZim Steel opens soon," Muchinguri said. She said there were also plans to launch a generator that is capable of lighting up 400 houses. Muchinguri revealed that the United States of America tried in vain to buy the generator technology for about $1.5 billion. "This technology is there and we're launching a generator that will light up to 400 houses. America had offered $1.5 billion to buy the technology but we refused," she said adding that the Zanu-PF government was committed to making the livelihoods of Zimbabweans better.